Its a rainy day. Nothing better to do than play on photoshop. YAY! Anyway this was a project we did since the weather was objecting to us installing anything. We were supposed to take a national monument or well know structure and play with it with guerrilla advertising. 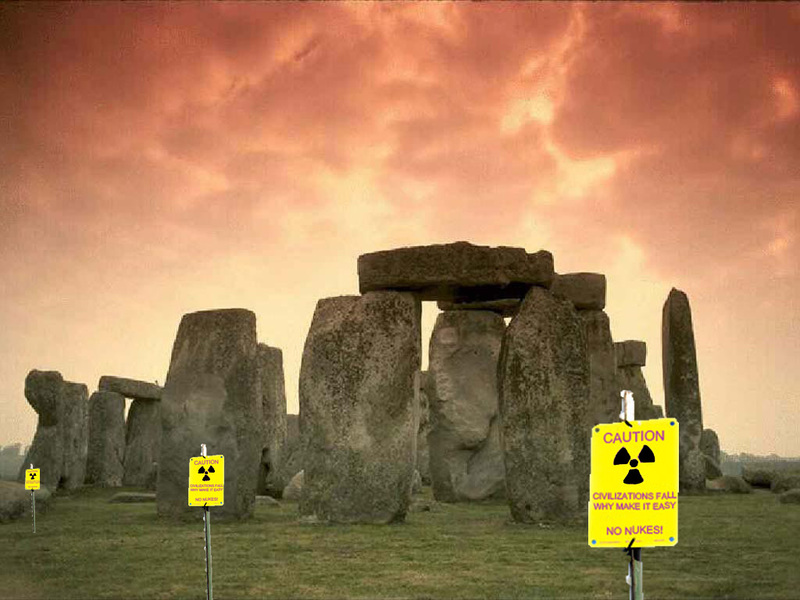 I decided to use Stonehenge as a nuclear fall-out area from some ancient civilization ending war. They all could read the same thing or each could have a different statistic about nuclear weapons and the destruction they can cause.